GNC Ultra Zinc Lozenges are scientifically designed to support a healthy immune system and provide antioxidant protection. Each lozenge is blister packed to be portable and easy to use. 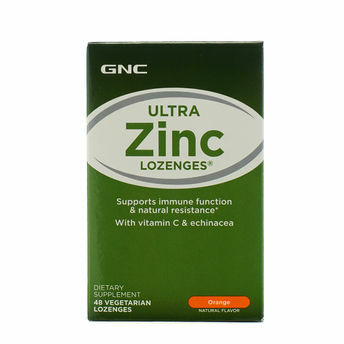 Echinacea and Zinc - Key ingredients that help support natural resistance. Vitamins A and C - Essential antioxidant vitamins that protect cells against the damage caused by free radicals. Explore the entire range of Antioxidants available on Nykaa. Shop more GNC products here.You can browse through the complete world of GNC Antioxidants .